So the quacks that took my wisdom teeth out managed to damage another tooth in the process. I should also mention that it took them over 4 hrs to take out two teeth! On top of that they “forgot” have enough O2 in the room to have a safe blend with the nitrus. So fast forward a few years later and the damaged tooth becomes a broken tooth. Now I know I should have taken care of this sooner than later, but after 4 hours of hell, I was not real keen on going back for more mouth surgery. Broken tooth was annoying for a while, but no big deal. On Tues night it decides to crank up the PAIN! I had to take an oxy just to get the pain from excruciating to bearable. Today take off work and find an oral surgeon to remove the tooth. He looks and says “No problem...I can have that out in a few mins.” After 5 needles in the mouth I can still feel the pain of him digging at the tooth. Oh and it turns out I have a violent reaction to epinephrine. My muscles start to shake uncontrollably and I couldn’t calm them down for at least an hour. 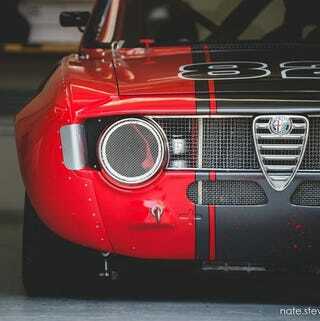 So that was my day...Alfa for your time.